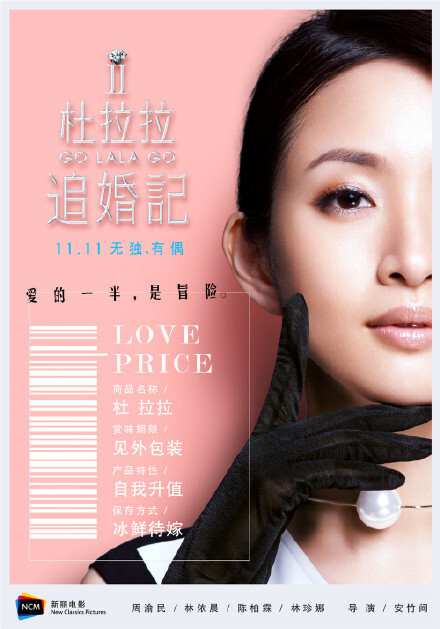 Based on what I’ve been reading regarding this film, “Go Lala Go 2” centers on Du Lala (Ariel Lin), a career woman in her 30’s who is set on finding love and getting married to the perfect man. We have heard of this kind of plot so many times already especially that Greater China actually calls unmarried career women in their 30’s as Left-Over Women. Such a harsh and anti-feminist term if you ask me but that’s how it is in their culture so I won’t dwell on that anymore. 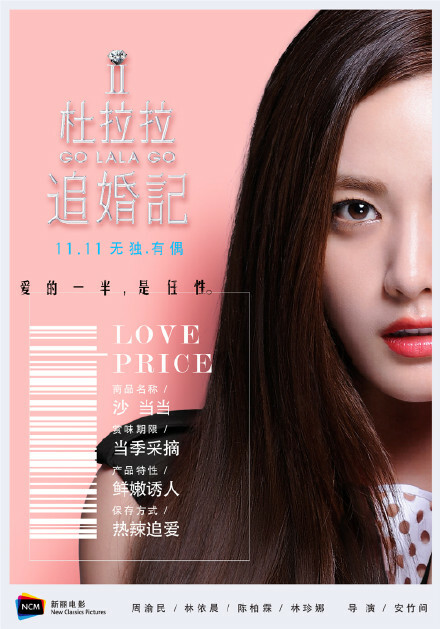 It’s a sequel to Xu Jinglei’s 2010 “Go Lala Go” film with her as the titular character, Stanley Huang, and Karen Mok. 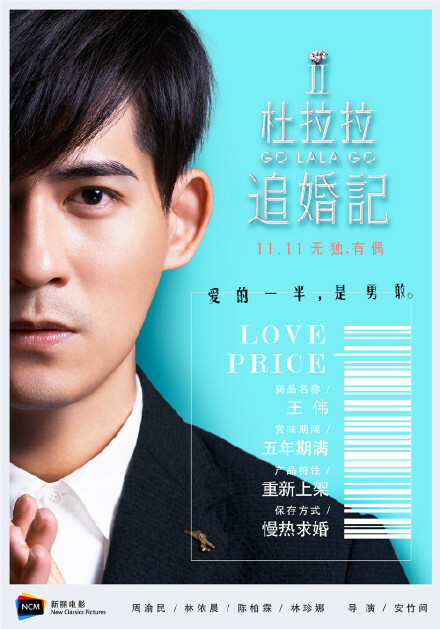 It was also made into a drama with Wang Luo Dan as Lala who coincidentally was in a movie recently with Vic Zhou, who will be one of the main leads of this sequel. Enough talking for here now because I’ll be spamming you with pretty pictures! 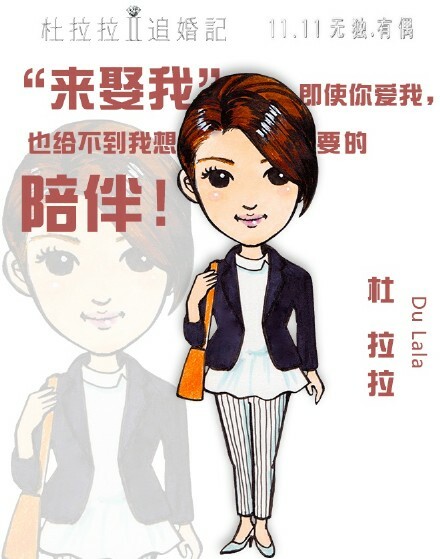 Ariel Lin as Du Lala is giving me “In Time With You” Cheng You Qing’s vibes but I have a feeling that Lala will be very different from the former as well. 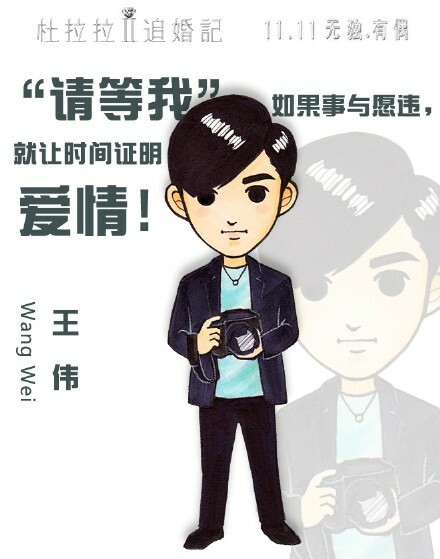 If there’s anyone who bloomed so much ever since his debut days, it would be Vic Zhou or Zai Zai as fondly called by his own country’s people. He’s my first ever Asian love so this man will always have a special place in my heart. Oops this isn’t even related to the movie haha! I’m not quite sure about the details of his character yet except that he’s Lala’s love interest (and has always been since the first movie). 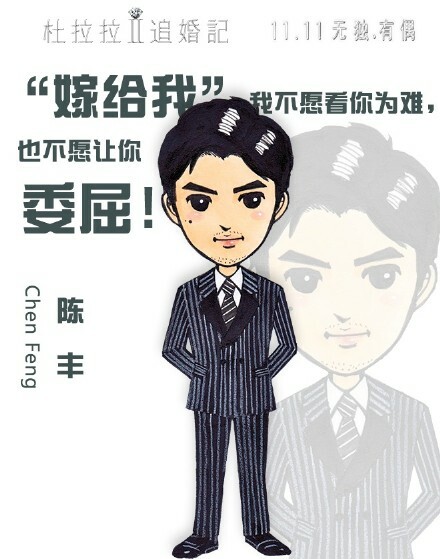 Bolin Chen’s Chen Feng is a CEO of a big company who’s in love with Ariel’s Lala (can I be her please?!). 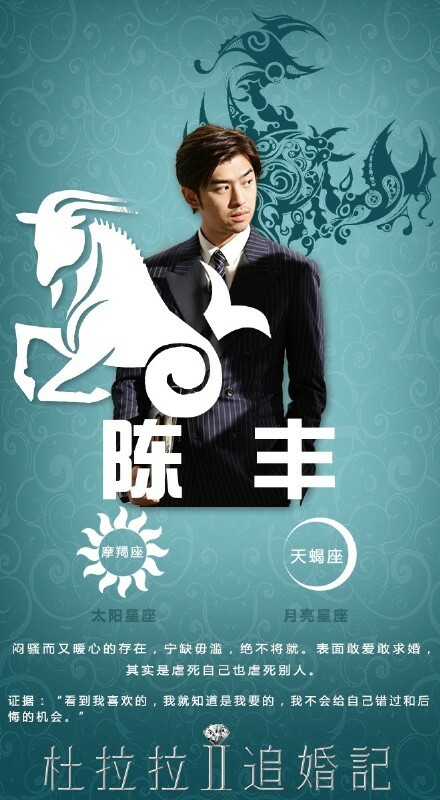 He’s willing to woo her away from Zai Zai’s Wang Wei despite their serious relationship. 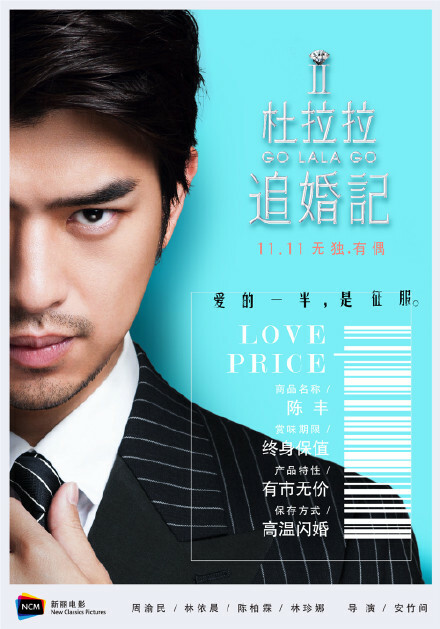 Such a far cry from his Li Da Ren aka probably one of the most perfect drama characters ever created! A Mainland production doesn’t seem to be complete anymore without casting a Korean star. As if the Taiwanese triple threat wasn’t enough to lure people to watch this movie, they still casted Na Na as the second female lead. 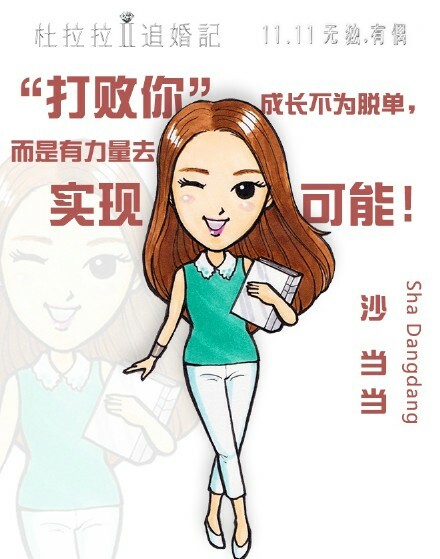 I don’t know much about her character except for that and also about the actress since I mostly watch dramas and films from the Chinese-speaking entertainment industry. Many people thought that they would never see Ariel and Vic in a project together again after the tragedy that struck his girlfriend, Beatrice Hsu, who happens to be Ariel’s best friend (together with Rainie Yang). However, we can truly see that there was never bad blood between the two since they were even asked to endorse a bottled green tea (below) together 6 years ago which was a year after Beatrice’s death. They even go way back as Ariel Lin was Zai Zai’s leading lady in his “Make A Wish” music video. This honestly surprised me because I remember always watching and singing to this song when I was a kid but I never realized that it was Ariel until recently. 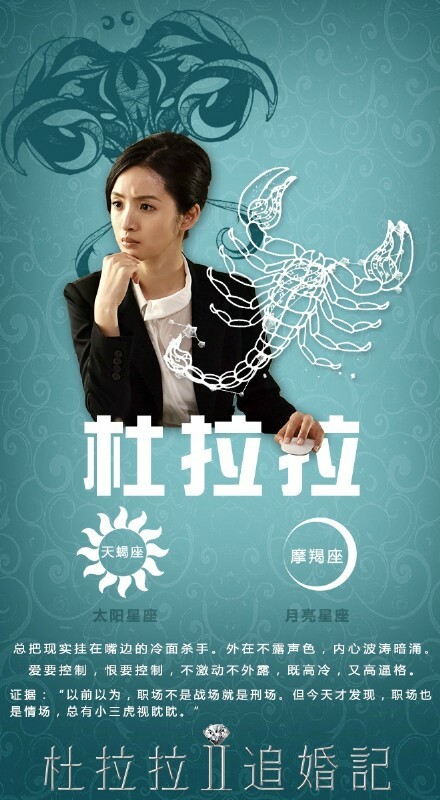 I’ve never had this much fan service from C-entertainment gods until I came across the pairing of Ariel Lin and Bolin Chen in “In Time With You” (Coincidentally, the drama OST’s playing right now while I’m writing this :)) The first time I watched these two was when I watched Cornetto’s “Dive In” 2014 short film. People were spazzing over their reunion there but it didn’t have much impact on me and because Bolin’s style wasn’t so appealing for me…Then I ruined my life by watching “In Time With You” because it’s been months since I’ve finished it but I still haven’t moved on haha! So I think I should rewatch “Dive In” and maybe I would get a better kind of feels now lol 😀 and then I watched “Lovesick” which was apparently filmed first than ITWY and that movie was nothing but cuteness! So I never thought that these two would get paired up in a project again but even 10x better now that Zai Zai’s part of the picture. Giving all credits to the official Weibo account of the film for providing such beautiful images and connecting reel life with what happened in real life. In the 3 photos posted above, the page posted about these two going to Taipei, Seoul, and then Shanghai. Taipei for ITWY obviously, Seoul for the International Drama Awards (they walked the red carpet together), and now Shanghai for this movie! 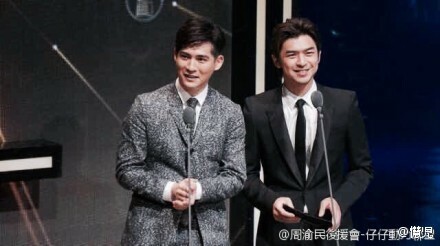 Bolin and Zai Zai presented together during last year’s Golden Bell awards (Taiwan’s equivalent of Emmys) and who would’ve thought that we would see these two best actor winners in one movie?! 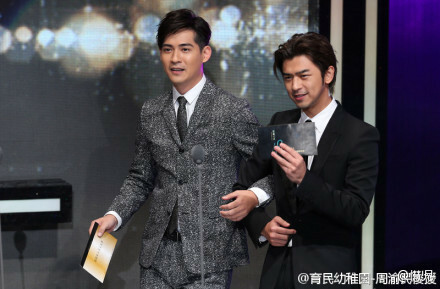 Bolin won the award back in 2011 for “In Time With You” together with Ariel (who won back in 2008 as well) while Zai Zai (finally!) won it 2 years ago. 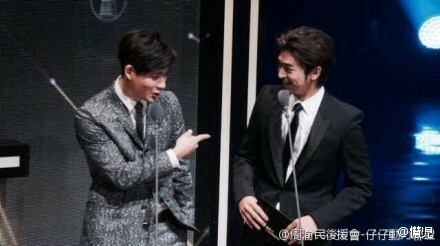 Many people still can’t forget what happened back from his “Black & White” days when he should’ve won the award instead of Mark Chao which should’ve made him a winner twice already. Ariel was even one of the people who commented that it was supposed to be for Zai Zai. Again, let’s not dwell on the past anymore and it would be unfair to Mark who’s actually a really good actor as well. credits to underthedarkcloudysky.wordpress.com for this photo! I think I’m not the only one who thinks that even though we’re all so happy about this project, it was still an odd choice to put all three best actors or the treasures of Taiwanese entertainment in a sequel of a seemingly average work-love kind of film. I can totally imagine them in a melodrama or somewhere better where they can show their excellent acting skills more but this is just me talking without even watching the movie so let’s just all wait (even if we can’t anymore!). Another thing to point out, Bolin started earlier by just a few years than Zai Zai and even won the Golden Bell first but he actually agreed to be the second male lead. It baffles me but it makes me love him even more! 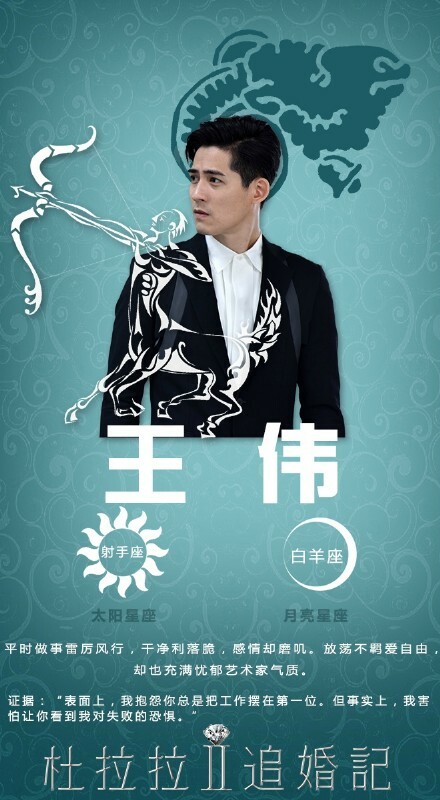 People might argue that there’s probably no such thing as the main or second male lead here but if one would take a look at the casting, Zai Zai definitely headlines it! Anyway, this is such a long news article that it doesn’t look like one anymore because of my endless spazzing haha! It scares me that I can write so much when I haven’t seen the trailer (it’s not out yet) so what more if I’ve seen that and even the movie itself. Oh well, hoping that I won’t be the only one dying once it’s out in theaters this November 11! Want more of these two already!